Do you know that weeds can cause over 50% yield loss? Weed control is very important in every crop farm. 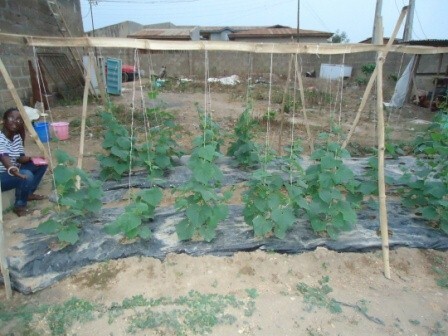 The trick is to control weeds until your crops form a canopy that covers the land. This will prevent light from reaching weeds and they won’t grow fast enough to be a problem. The trick is not to totally eliminate weeds – you can’t achieve that in a large farm – but to frustrate their growth to the point where they’ll not cause yield loss. Manual weeding is time consuming and painfully laborious. It is not practical to weed hectares of farmland by hand. That is why successful farmers are known to use chemical weed control. It is far cheaper than manual or mechanical weed control. 1. 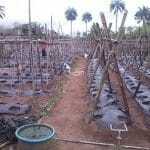 Humid Condition Attracts Diseases: I planted when the rainy season started. At the peak of rainfall when rain fall almost daily, disease struck. I suspects downy mildew. This disease first appear as yellow spots on the leaves which later turn brown. It expands and kill the whole leaves and the plants soon die. I knew little about fungicides when I started. Weeding manually is very costly and labor-intensive. But with herbicides, weeding becomes easier. Below are herbicides you can use without killing your soybean crops. These are herbicides that kill weeds that have grown out from the soil. You can apply it to kill weeds before you start land preparation. See manufacturer’s label for dosage. Below are 2 post emergence herbicides you can use. 1. Glyphosphate: This is a systemic herbicides – meaning that it enters the weeds’ system and kill them completely. It kills both broadleaf and grass weeds. It will kill soybean but because it has no residual activity in the soil, you can use it before you plant soybean but not after. It acts slowly and takes about 2 weeks to kill weeds. If you’re looking for an organic and earth-friendly way to control insects in your farm or garden, neem seed extract is a very good choice to consider. It contains azadirachtin, the main active ingredient responsible for its pesticidal effects. Neem seeds come from the neem tree, a popular medicinal tree that originate from India. The tree can grow in Africa and in many other continents. Some people get discouraged when they spray neem seed extract and nothing happen. They expect to see the insects die in masses within a few hours. But neem seed extract doesn’t work like that. It takes about a week to start seeing the effect. 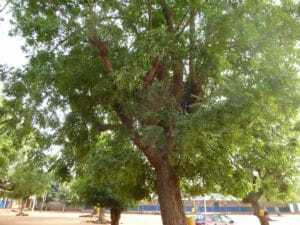 How Does Neem seed extract Pesticide Works? If you have ever tried farming on a plot of land (120x60ft) or more, you’ll agree with me that weeding with hoes is no easy task. It is back- and waist-breaking! If you decide to employ laborers to help you out, they’ll charge you about N7000 per plot (depending on your location). This shows how important it is for you to find ways of cutting weeding cost. And that’s exactly what you’re about to learn. So how do we go about this? The method we’re going to look at is called the stale seedbed method. Here is how it works. Make your seedbed, ridges or hills (I like working with ridges because it makes operations like fertilizer application or spraying insecticides and fungicides easier). After making your ridges, don’t sow your seeds or transplant yet. Allow about 2 weeks to pass to allow the first flush of weeds to grow. Pepper belongs to the Solanacea family. Other members of this family includes tomato, tobacco, eggplant and Irish potato. There are different varieties of pepper available to choose from. You just have to go to the pepper sellers in your area and find out the variety that sales well. Then visit a state ministry of Agric. and find out where you can buy the seeds. Some people who sell agro-chemicals in markets may also sell seeds. Weeding is costly. Irrigation is also costly. If you have a large farm you’ll appreciate what I mean. Because of the labor intensive nature of weeding, laborers charge high prices for weeding. Money spent on fuel for irrigation is also costly. But thank God for mulching. It helps you to control weeds and conserve water at the same time. Weeds compete with crops for nutrients and thus hampers growth. They also attract pests and diseases to the farm. One secret to having a bumper harvest is proper weed control – especially when the crops are young. The tip I’m about to share with you will help you increase your plant yield by 25-30%. And it works with almost any crop. Thanks to Moringa tree. The leaves of this tree is rich in vitamins, minerals, ascorbates, phenolics, antioxidants along with macro- micro nutrients and amino acids. They contain all the essential amino acids in a good proportion. All these combine to make this tree wonderful. 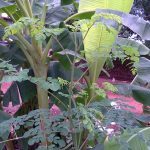 But all these are not the only things that makes Moringa important as a plant growth promoter. The growth promoting effect also comes from the growth hormone (zeatin) that can be found in the young leaves and shoot. 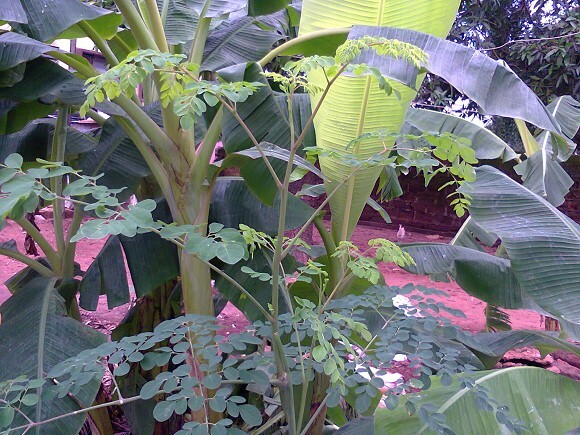 Why Use Moringa Leaf Extract? Aspirin, a pain killer with acetyl salicyclic acid as the active ingredient, can help increase crops immune system and help them to fight against fungal, bacteria and viral diseases. It is effective in preventing blight, a fungal disease that can wipe out the entire crop in days. According to a research by US Department of Agriculture, aspirin solution reduces blight by 47%. This finding is a welcome development, seeing that pesticides are getting costly and ineffective as pests continue to develop resistance. When threatened by diseases, plants increase their production of salicyclic acid to heal themselves. They also emit a salicyclic gas to warn other plants that dangerous insects are around. Through this process, plants can protect themselves from pest and disease attacks.